Health policy in the United States has been shaped by the political, socioeconomic, and ideological environment, with important roles played by public and private actors, as well as institutional and individual entities, in designing the contemporary American healthcare system. Now in a fully updated fifth edition, this book gives expanded attention to pressing issues for our policymakers including the aging American population, physician shortages, gene therapy, specialty drugs, and the opioid crisis. A new chapter has been added on the Trump administration's failed attempts at repealing and replacing the Affordable Care Act and subsequent attempts at undermining it via executive orders.　. Authors Patel and Rushefsky address the key problems of healthcare cost, access, and quality through analyses of Medicare, Medicaid, the Veterans Health Administration, and other programs, and the ethical and cost implications of advances in healthcare technology. Each chapter concludes with discussion questions and a comprehensive reference list. 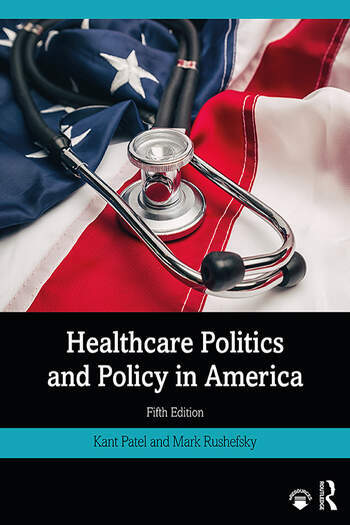 This textbook will be required reading for courses on health and healthcare policy, as well as all those interested in the ways in which American healthcare has evolved over time. Kant Patel is Emeritus Professor of Political Science at Missouri State University, USA. Mark Rushefsky is Emeritus Professor of Political Science at Missouri State University, USA.